For over 20 years, we’ve provided environmental water and soil testing and analysis for a variety of state, county, city and private customers. Our history as an industry leader in reliable and accurate results makes us the premier choice for water and soil testing needs in Florida. 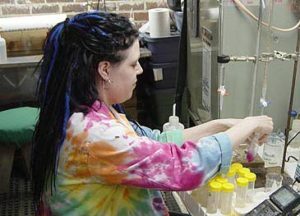 Our environmental laboratories are experienced in collecting and analyzing water and soil samples in Florida, and interpreting data to determine the environmental impact of various industrial and urban enterprises. Our strengths include establishing baseline conditions, measuring environmental problem areas and tracking the effectiveness of restorations through individually designed and executed monitoring programs as well as coastline analysis for permitting and dye trace studies.